Finally it’s Friday – YAY. 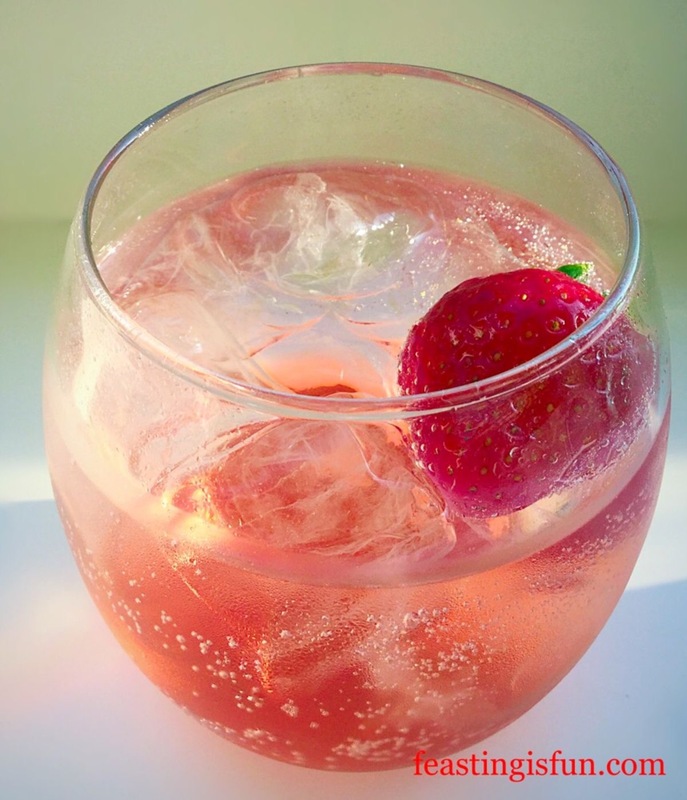 I have the perfect, cooling down drink, especially if you are under exam pressure in hot weather. 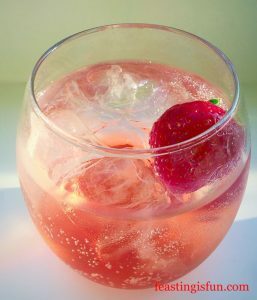 Or just fancy a delicious, fruit packed drink at the end of a long week. 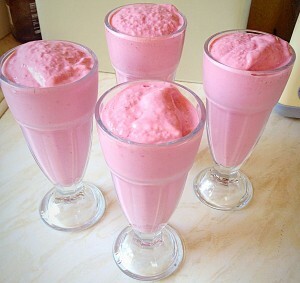 Let me introduce you to my Raspberry Banana Ice Cream Smoothies! Raspberry Banana Ice Cream Smoothies – the perfect way to cool down on a hot day. 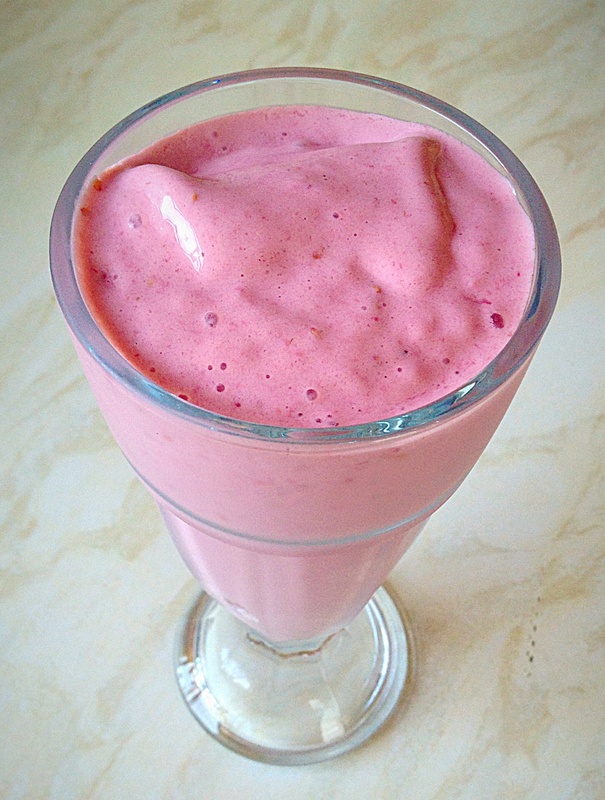 Only 4 ingredients are needed to make this yummy, thick, ice cream smoothie. I made these for us last night, after the children had finished another long, hot day, at school, sitting exams. They absolutely loved them, as did I – obviously I have to check what I make just to ensure it tastes good/won’t poison them/cos I wanted to!!!!! 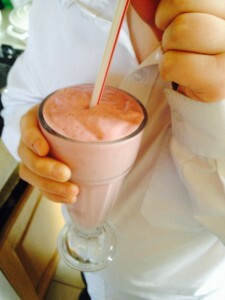 This ice cream smoothie is the perfect treat during a long day of revision, after returning home from school or the office – any reason to celebrate Friday!!! Now let’s get on with how to make this luscious smoothie! 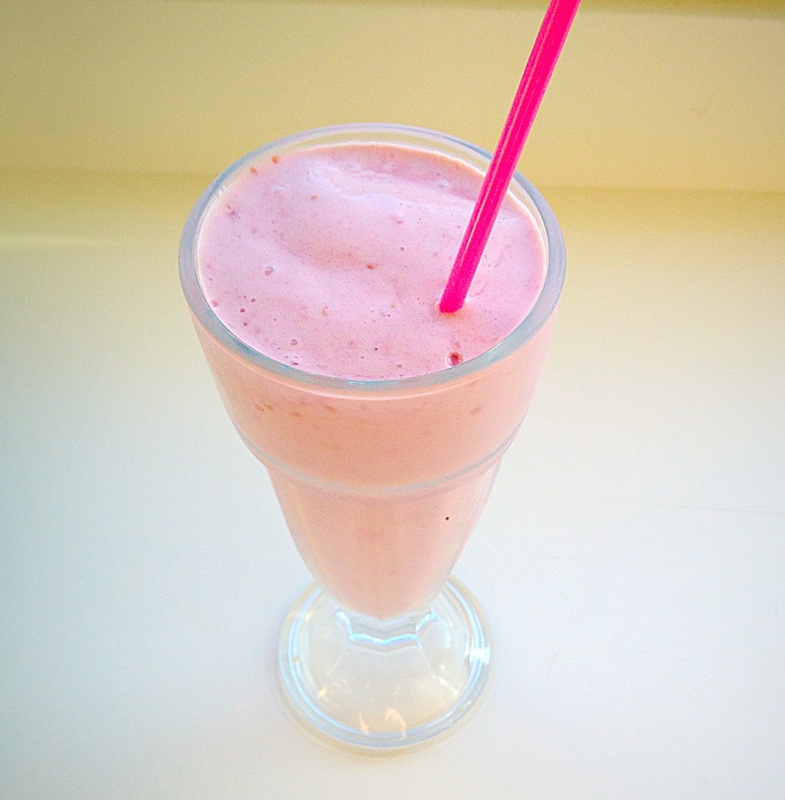 This Raspberry Banana Ice Cream Smoothie may just be my favourite flavour yet! 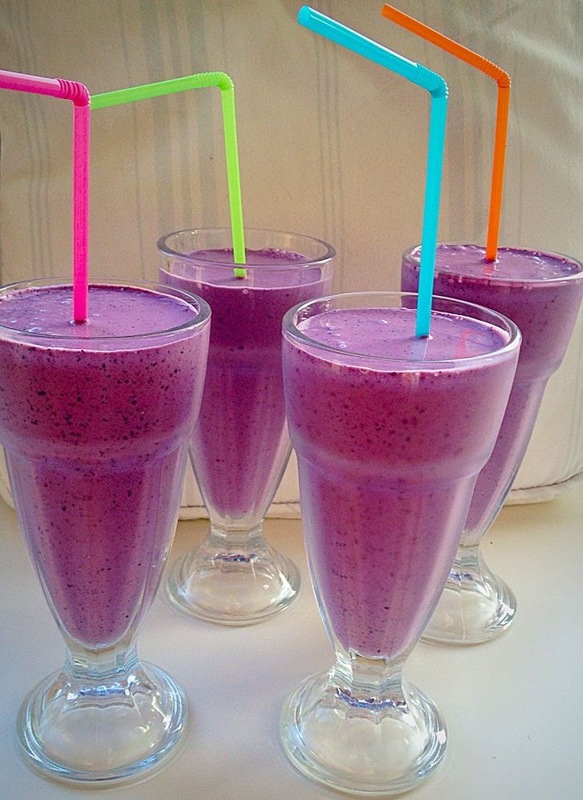 Break up the bananas and place in a blender. 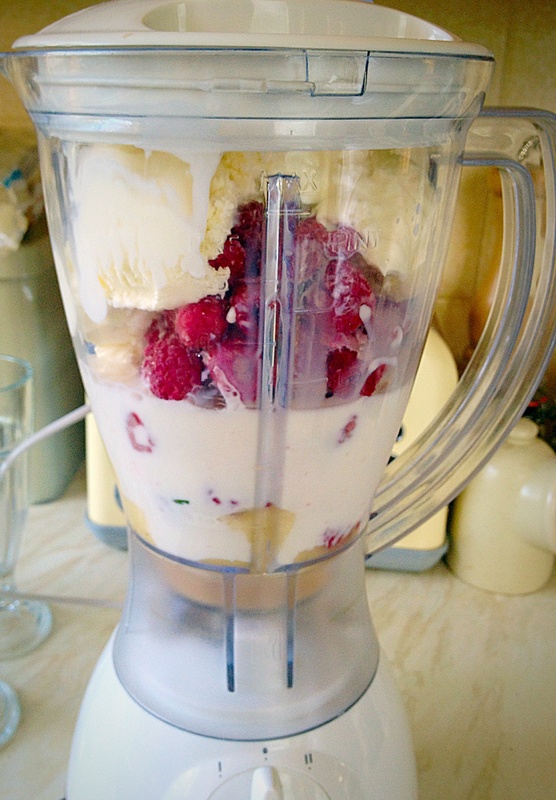 Add the frozen raspberries, ice cream and milk – then BLITZ until completely smooth. 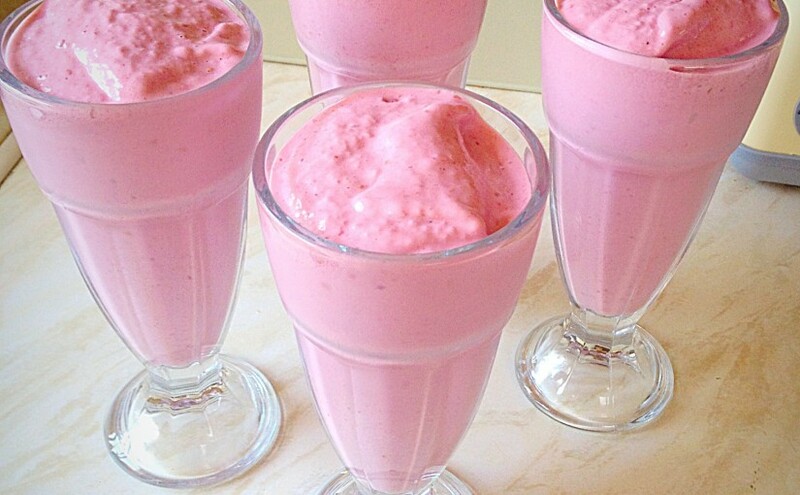 Pour your Raspberry Banana Ice Cream Smoothies into tall glasses, add a straw and slurp! One very happy child, slurping his smoothie!! These really are delicious, using frozen raspberries is much cheaper, however if you have an abundance of fresh berries, by all means use them. While they may not be super ‘healthy’ matcha tea green smoothies, they are packed with fruit. Since eating and drinking is all about balance I have no problem making these as an occasional treat. Especially when the weather is as hot as it is today! Since I am already thinking of other flavour combinations, I’d love to hear your ideas? Thanks Marcia, they are very refreshing. 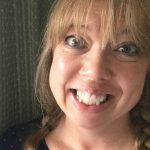 I love reading your blog Menopausal Mother. Mmmm looks delicious! Love the flavor combo! 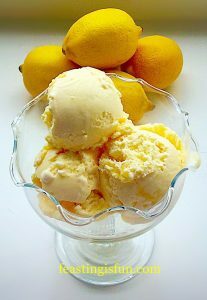 Thanks Julie, thinking up other flavour combos as I type – the list is endless!! Thank you for stopping by-this looks delicious. I love the pink shade. 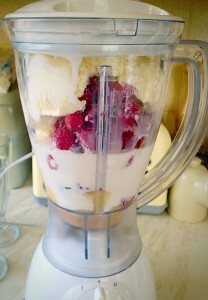 Raspberries have the prettiest colour when blended. Thank you Esme, they really looked pretty and tasted yummy too!